I received a Boden catalog in the mail the other day and am loving their detailed embellishments. 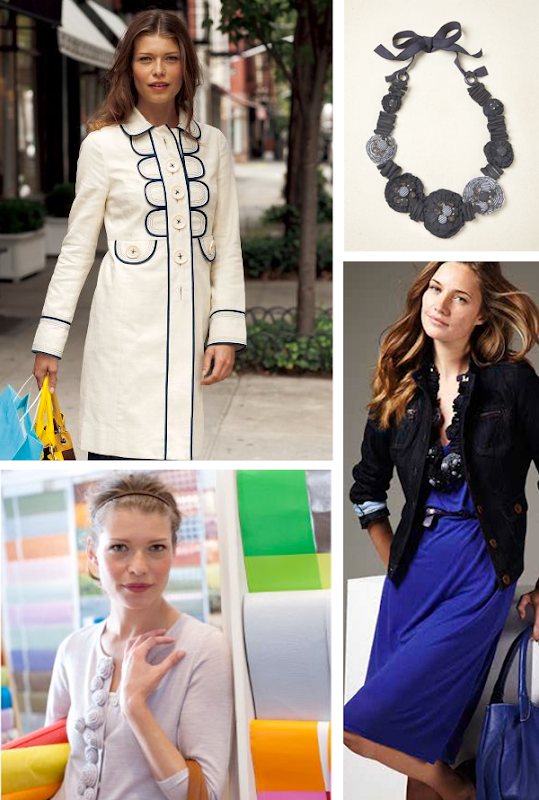 My favorites were the ... Scallop Trim Coat , Corsage Flower Necklace, and the Rose Cardigan . Another fun thing is their customized outfit maker, I wish all online shops had something like this. I just got their catalogue in the mail too & looked through it last night. Such pretty clothes! I would buy that coat immediately! Love it! My mother used to receive mini boden for my baby sister that is 13 years my junior. she recently started sending me the boden catalog and I love it! its nice to get something different than your typical j.crew, etc. We receive Boden too but I haven't gone through the catalog yet. I'll have to find where we put it! But I am in LOVE with that scalloped trimmed coat! i'm a big fan of boden. lovely stuff! The custom outfit maker on the website blew my mind! Now if only I could have a custom BODY maker to make me look like the chick modeling everything. Oh I love that coat!!! yep the coat is gorgeous!!! I just got my catalog today and picked the same coat as my favorite must have for the season! I am in love with that coat. In love. I am so in love with that scalloped trim coat! I've also convinced myself I need the nautical blue skirt with red stripes. I enjoyed this catalog as well, I just wish the prices were a little lower. the quality is great though, I still wear a pullover I got there all the time!